Florida International University’s Frost Art Museum, the Smithsonian Affiliate in Miami, announces a powerful new season of exhibitions and programming for Art Basel Season 2018 in Miami. 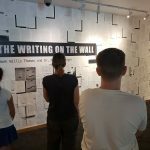 The Writing on the Wall, presented by Hank Willis Thomas and Dr. Baz Dreisinger (on view through through December 9), is a collaborative installation that raises awareness about mass incarceration. The U.S. is the world leader in incarceration, followed by Rwanda and Russia. In the U.S. alone, there are 2.2 million people in the nation’s prisons and jails – a 500% increase over the last 40 years, according to The Sentencing Project. 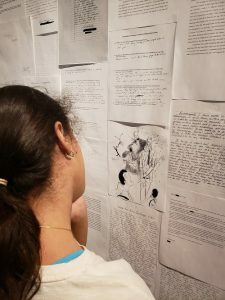 On the gallery walls are essays, poems, letters, stories, diagrams, and notes written by individuals incarcerated in prisons around the world, including the United States, Australia, Brazil, Norway and Uganda. During her years teaching in prisons, Dr. Dreisinger compiled these materials consisting of hand-written or typed messages by inmates. 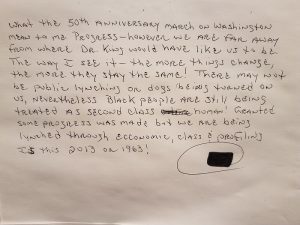 The Writing on the Wall is part of the monumental art project For Freedoms, founded by artists Hank Willis Thomas and Eric Gottesman. The fifty-state initiative is the largest creative collaboration in U.S. history. Through non-partisan nationwide programming, For Freedomsuses art as a vehicle to deepen public discussions on civic issues and core values and serves as a hub for artists, arts institutions, and citizens who want to be more engaged in public life. “Our new season opens up a dialogue about global commonalities rather than differences, from ecological changes to societal values around the world,” said the Director of the Frost Art Museum FIU, Dr. Jordana Pomeroy. 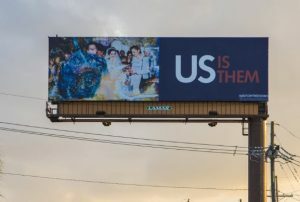 A billboard art installation, part of the “For Freedoms” national initiative. Voters in the State of Florida midterms just recently approved Amendment 4, to restore the right to vote for millions of people with prior felony convictions upon completion of their sentences (except those convicted of murder or other more serious felony offenses). Approximately 1.6 million people will be granted the right to vote in Florida elections because of Amendment 4. A disproportionate share of those arrested and incarcerated in Florida are minorities, particularly African Americans. In 2016, more than 418,000 black people (17.9 percent of potential black voters in Florida) couldn’t vote due to their past felony conviction. A platform for greater participation in civil society via exhibitions, installations, public programs, and billboard campaigns, the initiative For Freedoms advocates for inclusive civic participation. 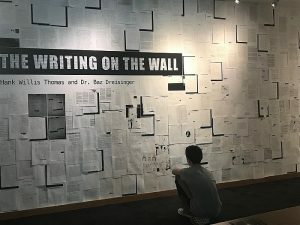 This collaborative installation by Hank Willis Thomas and Dr. Baz Dreisinger is a compilation of essays, poems, letters, stories, diagrams, and notes written by prisoners from around the world. The work draws attention to mass incarceration, now firmly rooted in the U.S. and the Western prison system which has spread across the globe. Though African Americans and Hispanics make up approximately 32% of the U.S. population, they comprised 56% of all incarcerated people in 2015. The written and typed materials were created by inmates, and were gathered by Dr. Dreisinger in the prisons where she taught. The focus of the exhibition shifts from venue to venue, in accordance with the selected writings on view. The exhibition coincides with FIU’s Common Reading Program and First Year Experience courses for university students. Dr. Baz Dreisinger is the author of Incarceration Nations: A Journey to Justice in Prisons Around the World, which offers a radical rethinking of one of America’s most devastating exports and national experiments – the modern prison system. Above – Hank Willis Thomas, From Cain’t See in the Morning Till Cain’t See at Night (from Strange Fruit), 2011, features two black men facing each other, a football player and a laborer crouching among cotton plants, their faces hidden by a straw hat and a football helmet. 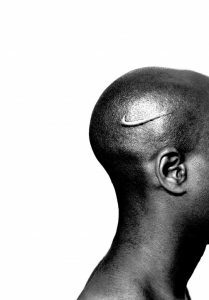 Above Hank Willis Thomas, Branded Head, 2003, from the series Branded, Chromogenic print, Courtesy the artist and Jack Shainman Gallery, NY. Copyright Hank Willis Thomas. The U.S. is the world leader in incarceration, followed by Rwanda and Russia. In the U.S. alone, there are 2.2 million people in the nation’s prisons and jails, and one in every 37 adults in the U.S. is under some form of correctional supervision – a 500% increase over the last 40 years. Though African American and Hispanics make up approximately 32% of the U.S. population, they comprise a disproportionate amount of all incarcerated people. 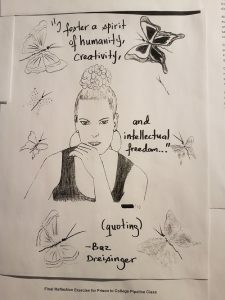 During her years of teaching in U.S. and international prisons, the Professor Dr. Baz Dreisinger collected hand-written and typed writings from individuals who were incarcerated. Thirty-one American states have rates higher than any individual country in the world, and Florida ranks higher than the national average, jailing 833 people for every 100,000 Floridians. If you compare each American state with every other nation on Earth, Florida’s incarceration rate on its own ranks higher than every nation on the planet (source: Prison Policy Initiative/States of Incarceration: The Global Context 2018). More details here, in this story written by Jerry Iannelli for The Miami New Times. Detail from The Writing on the Wall, at the Frost Art Museum FIU (Photo by Jose Lima/News Travels Fast). Dr. Baz Dreisinger is an American academic, cultural critic and activist. She is a professor of English at City University of New York’s John Jay College of Criminal Justice, the founder of the Prison-to-College Pipeline and the Executive Director of the Incarceration Nations Network. 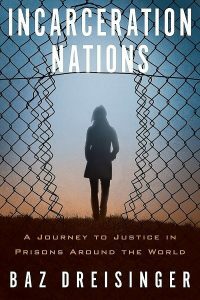 Dreisinger is the author of Incarceration Nations: A Journey to Justice in Prisons Around the World, which offers a radical rethinking of one of America’s most devastating exports and national experiments – the modern prison system. 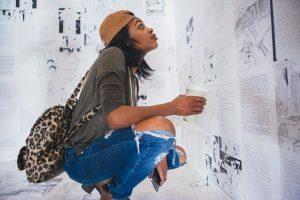 She is the recipient of a Whiting Fellowship, a Ford Foundation Art for Justice grant (together with the visual artist Hank Willis Thomas) and the 2014 Marcia Vickery-Wallace award. 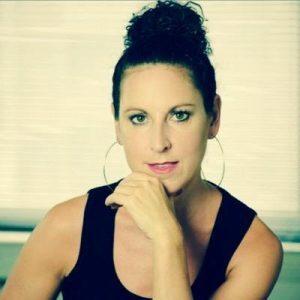 Dreisinger was born in the Bronx, New York, and graduated from Queens College, City University of New York, where she earned a bachelor’s degree in English in 1997 and was the valedictorian. She attended Columbia University for graduate school, where she earned a PhD in English with a specialty in African-American studies in 2002. Dr. Dreisinger was named a 2018 Global Fulbright Scholar for her work promoting education and restorative justice internationally and is the Director of the Incarceration Nations Network (INN), a global network and think tank that supports, instigates and popularizes innovative prison reform efforts around the world (bio source: Wikipedia). 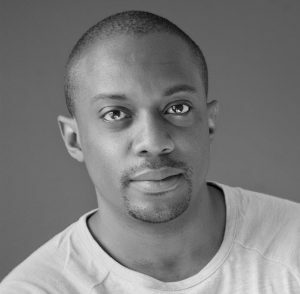 Hank Willis Thomas’ work has been exhibited throughout the United States and abroad including the International Center of Photography in New York; Guggenheim Museum Bilba; Musée du quai Branly, Paris; Hong Kong Arts Centre, and the Witte de With Center for Contemporary Art, Netherlands. Solo exhibitions of his work have been featured at SCAD Museum of Art, Savannah; California African American Museum; Philadelphia Photo Arts Center; Chrysler Museum of Art, Norfolk; Cleveland Museum of Art; The Aldrich Contemporary Art Museum, Ridgefield, CT; Corcoran Gallery of Art, Washington, D.C.; Brooklyn Museum; and Baltimore Museum of Art, among others. Major group exhibitions of his work include the 2017 inaugural show at Zeitz Museum of Contemporary Art Africa, Cape Town; P.S. 1 Contemporary Art Center, New York; The Studio Museum in Harlem; Zacheta National Museum of Art, Poland; Yerba Buena Center for the Arts, San Francisco, and the 2006 California Biennial at the Orange County Museum of Art. Thomas’ work is included in numerous public collections, including the Museum of Modern Art; Solomon R. Guggenheim Museum; Whitney Museum of American Art; Brooklyn Museum; High Museum of Art, Atlanta, and the National Gallery of Art, Washington, D.C. In 2017, his For Freedoms initiative was awarded the ICP Infinity Award for New Media and Online Platform. Thomas is a recipient of the Guggenheim Fellowship, AIMIA | AGO Photography Prize, Soros Equality Fellowship, Aperture West Book Prize, Renew Media Arts Fellowship from the Rockefeller Foundation, and the New York Foundation for the Arts Fellowship Award. He is also a member of the Public Design Commission for the City of New York. Thomas holds a B.F.A. from New York University and an M.A./M.F.A. from the California College of the Arts. He received honorary doctorates from the Maryland Institute of Art, and the Institute for Doctoral Studies in the Visual Arts. Installation image from The Writing on the Wall, at the Frost Art Museum FIU (Photo by Amy Galpin, Chief Curator of the Frost Art Museum FIU).